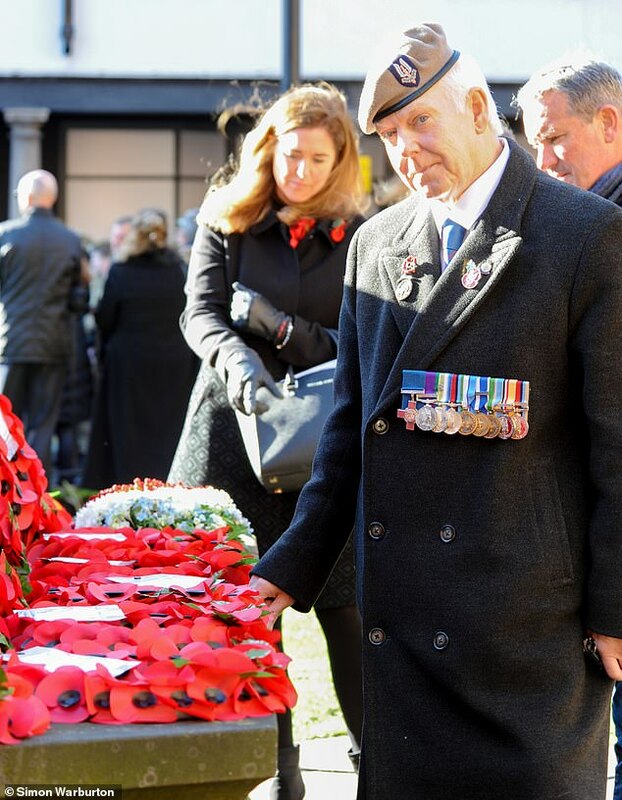 A 'FANTASIST' who sparked fury after laying a wreath on Remembrance Sunday today insisted he is a war hero – despite officials saying he didn't win his George Cross medal. David Stocks, 63, was rumbled after service personnel became suspicious when he wore a George Cross and SAS beret to the service at Chester Cathedral. But this caused fury among members of the local Cheshire Regiment, now known as 1 Mercian, who said his actions were “disgusting” and “disrespected the British Military”. One friend said Mr Stocks is the “biggest fantasist” who “buys all of his medals from eBay”. The Sun Online today tracked Mr Stocks down at his ground floor flat in Barnsley, South Yorks, but he insisted he is a war hero despite officials categorically saying he is not. He maintained he was a member of the SAS and that he had won the George Cross. Members at the service last weekend said Mr Stocks was wearing the beret wrongly and the medals were too low on his chest. A Facebook follower added: “Why is it always Special Forces or Para? Peter Walsh, 41, a veteran of 1st Battalion The 22nd Cheshire Regiment, told The Sun Online: “It is with the disrespect and downright insulting behaviour of people like this who insult those soldiers and their achievements or sacrifice. “This person did not earn the George Cross confirmed firmly by the Victoria Cross and George Cross Association. “He had the audacity to place a wooden remembrance cross with the handwritten words 'SAS in remembrance of men left behind in Afghanistan RIP'. "Firstly the British military do not leave soldiers killed in action behind unless it was absolutely impossible to bring them home. “This disrespects the British Military and the Nation as a whole. “The day he chose to be disrespectful in our Regimental home of Chester was the worst day possible, 100th Anniversary of the end of WW1 in which our regiment lost 8,412 brave men. “There is no excuse for this disrespectful and cowardly behaviour in order to propel yourself in society to be something you are not. There are 19 living recipients of the GC, the second highest award for valour, but the Victoria Cross and George Cross Association confirmed he is not one of them. A spokesman said: “Sadly, this individual felt the need to imply, by the wearing of the medal along with others that spanned over forty years of supposed service to the Nation, that he had been awarded the George Cross. "For the removal of any doubt, he has not. The Association is not in a position to comment on the veracity of his other medals."